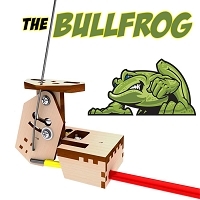 The BullFrog dual actuator kit includes all of the parts that you need to switch a single BullFrog from opposite sides of your layout. 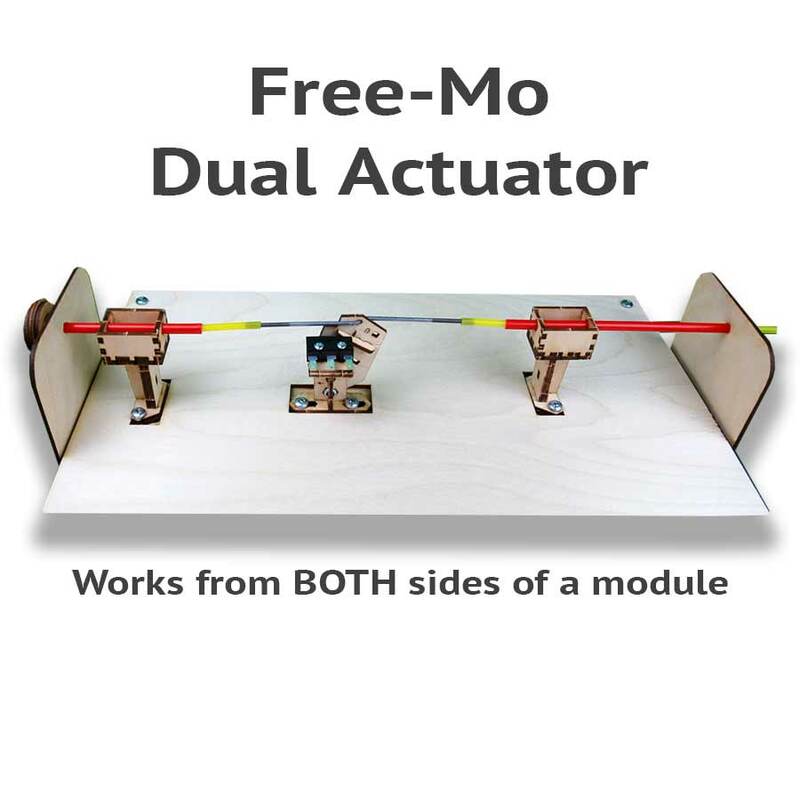 This type of actuator is typically used on Free-mo modules, however it can also be used on standard layouts as well. Installing the dual actuator kit is a simple matter of installing the double ended Z Bend connector into the BullFrog, mounting the TadPoles on opposite sides of the BullFrog, inserting the outer control rods (red) into the TadPole mounts, and screwing the inner control rods (yellow) into the Z Bend connector. The Dual Actuator Kit comes un-assembled, but can be put together with white glue in about 5 minutes. The control rods are mounted to the back of your control panel with a mounting clip. 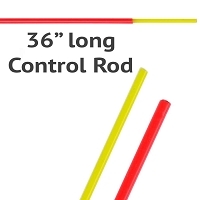 The knob is then screwed into the end of the yellow control rod. 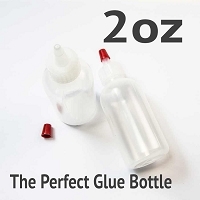 The knob comes unassembled, but can be put together in a few minutes with a bit of white glue.